Maria, which has left at least 1 dead in the Caribbean, is expected to move over the northeastern Caribbean Sea today & is forecast to “remain an extremely dangerous category 4 or 5 hurricane” as it approaches the Virgin Islands & Puerto Rico tonight & Wednesday, the National Hurricane Center said. Maria could bring life-threatening flooding & mudslides, as well as a 6- to 9-foot storm surge, to the Virgin Islands & Puerto Rico. 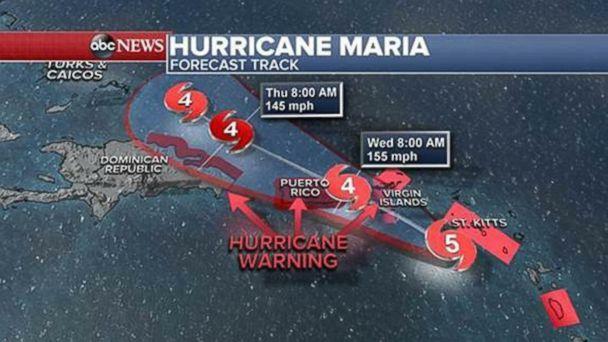 Most models are forecasting Maria will stay away from Florida & the U.S. mainland. The storm — which is expected to bring life-threatening winds, storm surge & flooding — will be violent, the governor of Puerto Rico warned today. The governor advised residents to be prepared to hunker down for 72 to 90 hours. 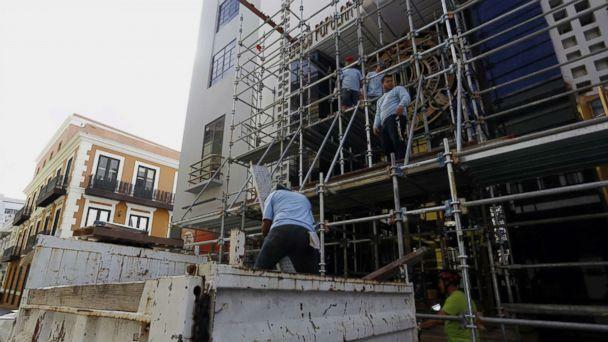 It’s been just 2 weeks since Hurricane Irma, which killed at least 39 people in the Caribbean & demolished homes, tore through Puerto Rico & now Puerto Rico Gov. Ricardo Rossello is saying Maria is “potentially most catastrophic hurricane to hit” the U.S. territory in a century. A Category 4 storm hasn’t hit Puerto Rico directly since 1932. Rossello said up to 25 inches of rain could fall in some areas & he urged anyone in a flood-prone, mudslide-prone or coastal area to leave. Over 300 people are already at shelters as of this afternoon, the governor said. Rossello said a lot of infrastructure will likely be lost & he said communications will be affected. While Puerto Rico residents appeared to go about their days w/little urgency Monday, many seem to be on edge today as the storm nears. In the capital of San Juan, most businesses are closed or closing early today & the San Juan Airport is closing this evening. “We do not know what is happening outside. We not dare look out … we pray for its end!” Skerrit wrote. 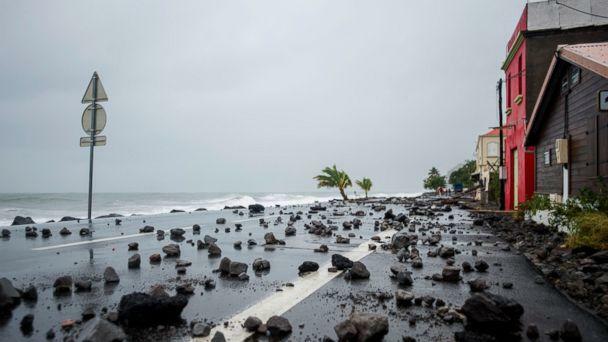 Maria was the 1st Category 5 hurricane to make landfall on Dominica; before Monday the strongest hurricane to hit Dominica was Hurricane David, a Category 4 in 1979. 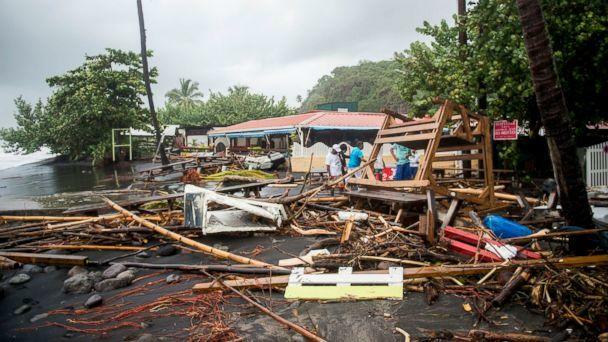 Guadeloupe & Martinique, which both neighbor Dominica in the Caribbean, were also battered w/Maria’s powerful winds & rain Monday night. Officials said in Guadeloupe 1 person died from a falling tree. 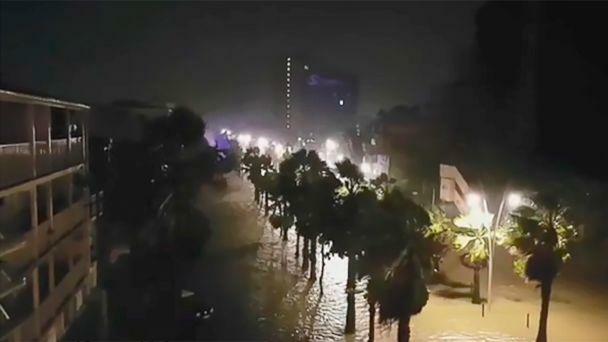 Officials said 80,000 are w/out power on Guadeloupe & some flooding was reported, but few homes are damaged. 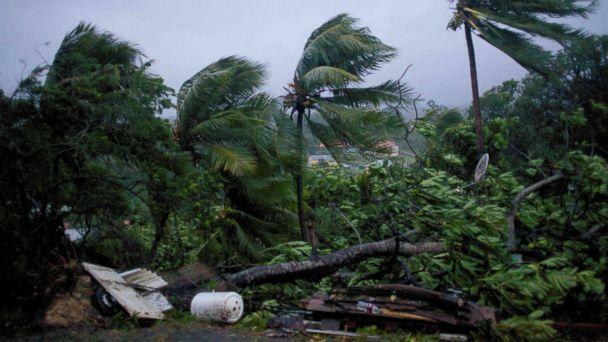 Dominica was “shut down” as the storm approached, said Anil Etienne, a spokesman for Dominica’s Office of Disaster Management. Etienne told ABC News officials were worried about flooding in low-lying areas & opened about 146 shelters. After hitting Puerto Rico, the storm will begin to turn north & is expected to come near the Dominican Republic Wednesday afternoon, potentially w/winds over 100 mph. 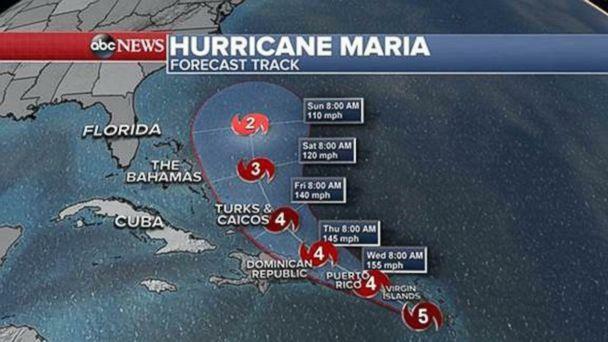 Maria is forecast to then continue north, avoiding the Turks & Caicos, the Bahamas & Florida, before ending up out to sea.